Published April 20, 2015 at 720 × 578 in Throwback Thursday: Library. 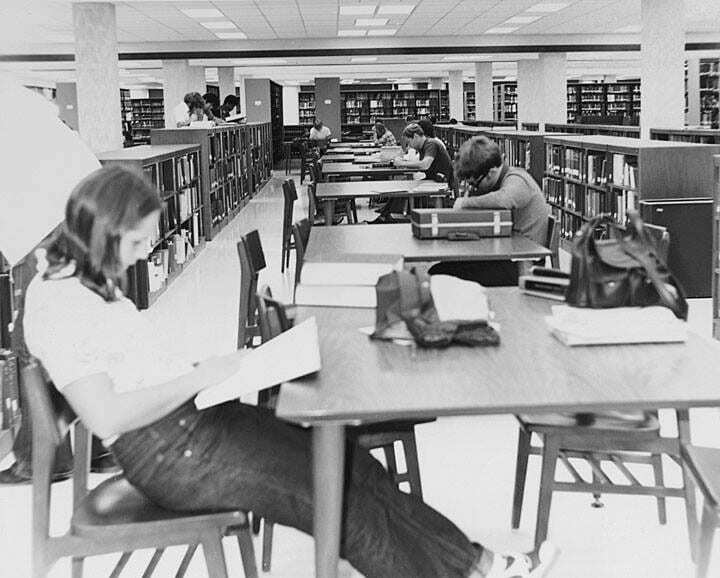 The UWGB Library’s second home was in the Instructional Resources Building. This location was used ca. 1970-1972. Photo is of the Library reference area, looking east.